Changes in customer behavior and expectations are causing organizations to make dramatic shifts in how they engage with customers. 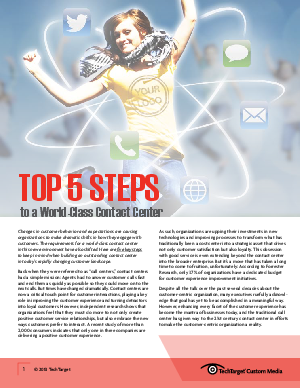 The requirements for a world-class contact center in this new environment have also shifted. In this white paper you’ll find five key steps to keep in mind when building a world-class contact center in today’s rapidly changing customer landscape.